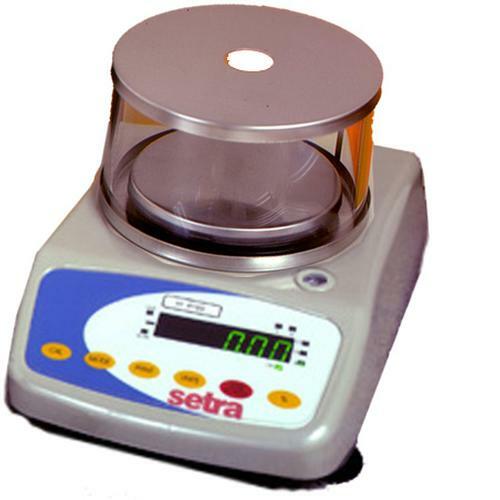 The Himalaya Series of single range laboratory balances offers extremely high readability. The six button keyboard affords great flexibility by allowing a choice of several weighing modes. In addition to units such as grams, ounces and carats, each HI precision balance can display weight as a percent for use in check weighing and as grams per second to monitor flow rates. A user defined unit can be programmed for any unit of measure, such as ml for measuring volume and $ for measuring value. Each precision balance has a mode key that may be used to select either a fast or slow display update rate. This key will also lock in a displayed weight, a feature useful in continuous weighing applications. The print key may be set to transmit data instantaneously, continuously, or at selected time intervals. All precision balances employ our patented, award-winning sensing technology - variable capacitance. This technology requires few parts allowing the laboratory balances to maintain a low profile and remain structurally streamlined both inside and out, providing you with better reliability at a lower price. g, oz, ct, %, user unit, user unit/sec. ** Dustcover: Chemically resistant rubber membrane cover protects balance from powder dust and spills. *** Security Lock Kit: Secure your balance to a bench or table top. Combination lock (not provided) can be used to permit removal of instruments.